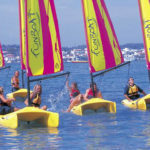 The Laser Pico, designed by Jo Richards, the most versatile and stylish boat of its kind on the market. Now with a Great New Price (as of September 1, 2015) – Only $7,235! 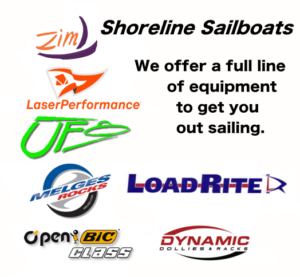 Ready to sail – race rig with beach trolley included! 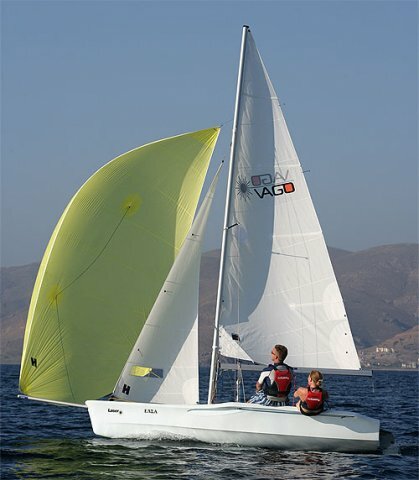 The Laser Vago has a unique modern design for singlehanded trapezing up and downwind. The Laser Vago’s sail plan is interchangeable allowing sailors to sail single- or double-handed and upgrade as their skill level increases. 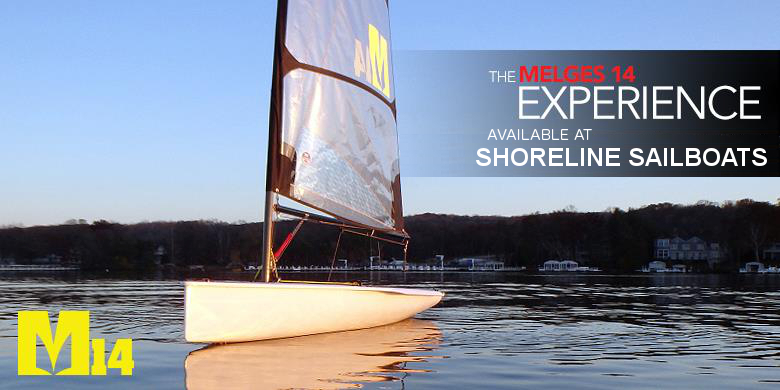 With the option of standard or race sails, the Vago is designed for both leisure and performance sailing. Single line launch and retrieval gennaker makes gennaker use a breeze for sailors of all levels. A larger mainsail and gennaker make downwind sailing more exhilarating. Add a single trapeze to allow for single-handed or double-handed sailing with a crew on the wire. A unique combination of style, versatility and hydrodynamic ability provide high-end performance, raised control and comfort. 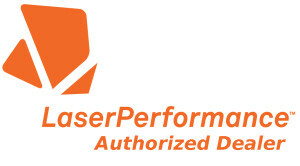 The sub-chine area of the hull promotes early planing; tuned rocker profile enhances maneuverability. Flared sides on deck level provide good righting moments, enhancing buoyancy and added cockpit space. Polyethylene Tri-Skin construction offers durability, a hard-wearing exterior and minimum maintenance. Custom galvanized hand trolley included in purchase price. There are two options available, the Standard or the Race. A galvanized road trailer that the boat and trolley ride on is an additional extra $1,606. The gnav vang system creates more space in the cockpit to assist crew mobility and comfort enhancing that “sit in” feel. The cockpit design also supports hiking and trapeze options with inset steps for easy leverage. The high boom gives more crew space and a simple layout with control lines that are easy to locate and use. 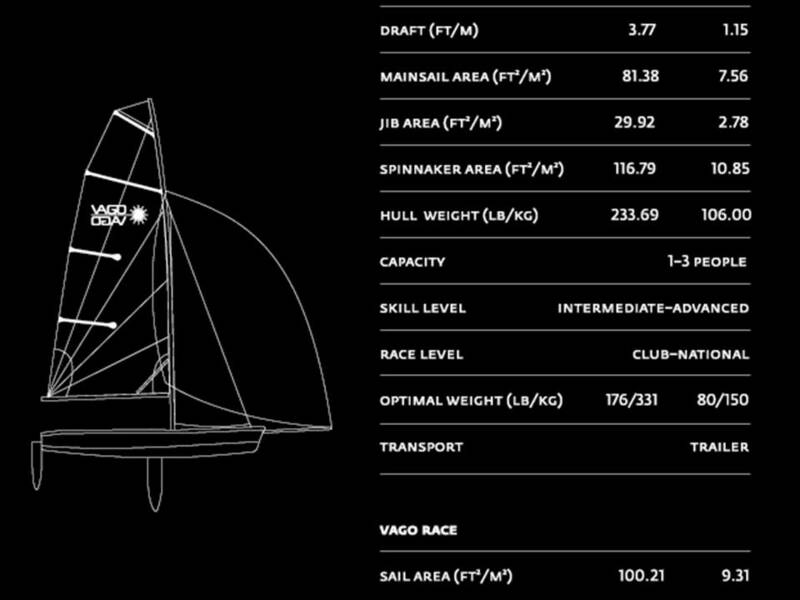 The Vago Race is the 2008 winner of Sailing World’s prestigious One-Design Dinghy of The Year award. 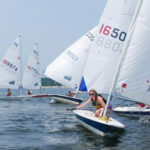 The Laser Vago features a white hull; the Race mainsail and jib is black Mylar and the spinnaker comes in Blue. Sails are by North.